Everyone forgets their router password every now and then, right? There may come a time when you have to change some of the settings like security for your local Wi-Fi connection at home for instance. Unfortunately, when you try to access the controls for your router, you realize that you have forgotten which password (and sometimes the user name as well) you used when you set things up. Calling tech support just to get things set up may not be the most pleasant idea on anyone’s list. You definitely don’t want to wait in queue for an hour or two just to get a solution that you can do yourself in just minutes. Here are the steps on how to reset a router password in order to save you a lot of time by not calling tech support. This is usually the first thing that anyone troubleshooting this problem will do. This set of procedures can be used on just about any router out there. The first thing that you should do is to disconnect all the cables at the back of the router except for the power. Next grab a regular sized paper clip and straighten it out. Turn the router around so that the back side will be facing you. Locate the little button that is labelled as “Reset.” This is the all-important part that you will need to mess with in order to do a hard reset. Poke the Reset button and press it down using the paper clip that you straightened out earlier. Remember that you should hold it down for about 30 seconds. Holding down the reset button will make the router revert back to its original factory settings. This simply means that the password that the username and password you used to set it up the last time will be replaced with the default username and password. Notice that the router will turn off when you hold down the reset button. After that the router will then power up again and the lights will start flashing like they used to. You may now plug the router back to your computer and you may now plug your DSL/Cable modem into the router if you’re using one. At this point it’s time to change the settings on the said device. Don’t worry this isn’t that complicated. To change the settings on your DSL/Cable router, you will need to launch your web browser. Don’t worry if it says “Page cannot be displayed” or any info on the screen that says you don’t have an Internet connection. That will eventually get fixed later after everything is set up properly. Well, the easy way to get around that is to simply restart your computer, router, and modem. Now, manually changing the settings will vary from one router brand to the other. 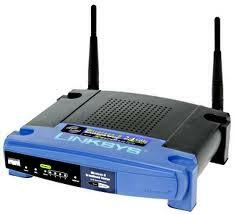 However, accessing the browser based configuration screen for routers will usually be the same. Once you have your web browser up, click on the address bar. You will need to type 192.168.1.1 and then hit enter. If that still says “page cannot be displayed” or some other message that also denotes you don’t have Internet, use 192.168.0.1 instead. That will usually pull up a log on window where you need to enter a username and password for your router. If neither of these addresses pull up a log on screen you may have to figure out what address is your router is using. To do just that, open a command prompt window and type “arp –a” on the command screen. That will usually pull up a list of routers connected to your computer and it will tell you what address you should use. Look for a series of numbers that starts with “192.168” or some other similar series of numbers. Once you have the log on window up, you will need to enter the default log on username and password. You should be able to find out what they are by checking the instructions that came with router. Some brands have the factory default username and password on a sticker attached at the bottom of the router. Some have it displayed on the box. Once you’re done logging on using the default username and password, navigate to the section of the configurations where you can change the username and password into something that you can remember easily. Save your settings and you should be good to go. Some routers come with a resource CD/DVD. If it does then it should have a set up program that runs when you pop the disc into the DVD drive. You can use that program to reset the settings of your router automatically without having to do all that manual mumbo jumbo. Unfortunately, not all routers will have such a reset disc so this may not be applicable to your router. You may reset your router password using either of these two methods. Just choose the one that applies to your particular unit model.